With the announcement that the IRA has destroyed its weapons, two church leaders have left the shadows to convince the public that decommissioning has been "accomplished" after acting as independent witnesses. A former president of the Methodist Church, the grandfather of 12 has served congregations not only in Northern Ireland but the Irish Republic and the US. Born in Londonderry in 1937, the Harold Good returned to Northern Ireland in the late 1960s and was appointed to serve the Shankill Road in Belfast. During that time he was also part-time chaplain at the city's Crumlin Road Prison. By 1973 he had moved to the Antrim coast where he became the director of the Corrymeela Community Centre for Reconciliation, a community where Catholics and Protestants work together. In 1979 Mr Good returned to the ministry and served in Ballynahinch, and various parts of Belfast. 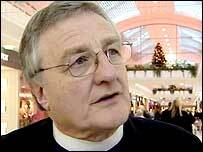 More than 20 years later, in 2001, he was elected president of the Methodist Church in Ireland. He retired from full-time ministry one year later. During his time as Methodist Church leader, Mr Good joined Northern Ireland's other main church leaders to press for peace and engage in talks with Prime Minister Tony Blair. He also met the Loyalist Commission - a group made up of loyalist paramilitaries, community representatives, church leaders and politicians, who try to prevent loyalist feuding and attacks on nationalists. The Methodist minister was a member of the Northern Ireland Human Rights Commission in 1999. A long-time confidant of Sinn Fein leader Gerry Adams, it was Father Reid who arranged ground-breaking talks between Mr Adams and then SDLP leader John Hume. This led to a common nationalist approach and, in time, to the 1993 Downing Street Declaration. Bolstered by the Adams-Hume talks, the Irish and British governments hoped the declaration would lead to peace and political dialogue which would include Sinn Fein and representatives of the loyalist paramilitaries. It eventually led to the 1998 Good Friday Agreement, under which the right of Northern Ireland to remain part of the UK as long as the majority of its people wished was enshrined in law. At the same time, the Irish Republic dropped its claim to the six counties of Northern Ireland. 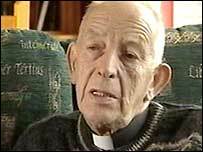 Fr Reid, who is a member of the Redemptorist Clonard Monastery on Belfast's Falls Road, was also the man the IRA turned to when under pressure to reveal where the bodies of those secretly murdered and buried by the IRA were hidden. The IRA gave the locations of the "Disappeared" to the priest and he passed them on, acting as a conduit between the organisation and the authorities. Trusted and respected by both, his testimony about exactly what weapons he saw being put beyond use should carry a lot of weight.